We are leader supplier in Dura box and provinding genuine material . To meet the huge market demands, we are involved in manufacturing and supplying best quality of Yellow Double Walled Lunch Box. 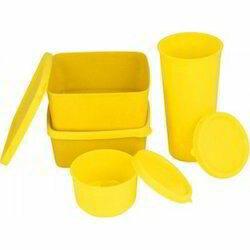 This Yellow Double Walled Lunch Box is offered by us in various sizes, colors and shades. Further, the offered Yellow Double Walled Lunch Box is available at reasonable rates. We are engaged in providing an elite assortment of Tiffin Box. The provided assortment is made from best quality input which is acquired from industry acknowledged vendors. These products are available in all standard patterns that meet on clients demand. Further, this variety can be made as per the exact requirements of our patrons. We deal in Delhi, NCR regions only. Food grade virgin PP small tiffin boxes cand be used to keep small quantity of food items, can also be used for chocolate and dry fruits packing. Being a noteworthy enterprise of this industry, we are offering a wide spectrum of Plastic Lunch Box. We offer Plastic Lunch Boxes that help in keeping the food safe and fresh for long hours. Made of best quality plastic, these lunch boxes are known for their exquisite designs, durability, fine finishes and versatile sizes. We offer these tiffins at most competitive prices. Being a leading enterprise of this industry, we are offering a huge range of Pink Plastic Lunch Box. 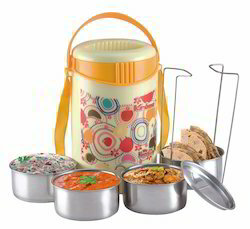 Backed by a rich industrial experience, we have come up with a world class assortment of Plastic Lunch Box.